Surviving service records clearly show the journey from the battle field to the hospital. 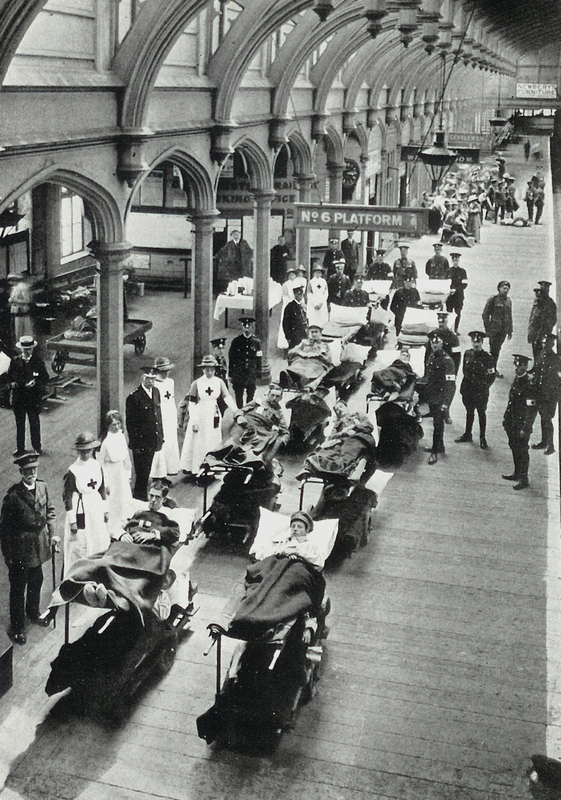 Wounded soldiers were treated in a field hospital and then despatched by hospital train and boat to the Britain. Hospital ships arrived at Avonmouth, but most of the wounded arrived at Bristol Temple Meads where they were met by The Bristol Red Cross. They were given a cup of tea, a packet of woodbines, and a postcard so that they could let their family know where they were. As the war continued and casualties increased, trains arrived at night. The wounded were driven to the hospital in ambulances, buses, and private cars. When the wounded arrived at Beaufort their battle clothes were removed and cleaned, they were washed and dressed in hospital blues and assigned to a ward.